Who makes decisions for children under age 18? Children under the age of 18 are not permitted to give consent for medical procedures and treatments. Parents are typically the primary decision-makers for their children. Parents give permission for their child to undergo procedures and treatments. The parent giving consent must be deemed competent- in other words, be able to understand the information being presented. In the absence of biological or adoptive parents to give consent, legal guardians (appointed by the court) may have decision-making capabilities. If a child has been placed into foster care, foster parents typically do not have decision-making abilities for foster children. However, the agency managing the foster care case or a representative of the state may have the ability to give consent for medical procedures; sometimes, the biologic parents may retain decision-making rights for medical care. These laws vary from state to state. In pediatrics, children who are old enough to understand medical discussions are sometimes asked to give assent for care. Assent means that the child is agreeing to the treatment or procedure. Children can also dissent, which means they do not agree to participate. The age at which assent is requested varies by institution and can be as young as 7 years old. Assent is not required by law, but many institutions require children who are developmentally and cognitively able, to participate in decision making. You can ask for assistance in assessing your child’s ability to give assent from pediatric social workers, psychologists, and child life specialists. The parent(s) providing consent will be asked to sign an informed consent document for each procedure, treatment, or clinical trial. Review the document and ask any questions before you sign. This form is to protect your autonomy (decision making ability) and to confirm that you have not been forced to receive any treatment or procedure. You may want to ask for a copy of the form after you have signed it. Informed consent is the law. State laws can dictate the format of these forms, so they may vary from state to state. You should not feel pressured or rushed to provide consent. Take time to review the document and ask questions. You can change your mind about the treatment at any time, even after you have signed the consent or treatment has started. 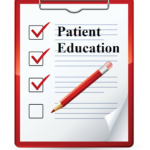 If you struggle with reading or writing, it is important to inform the healthcare provider so that they use other methods to help you understand the treatment/procedure. Many medical professionals use medical terminology that the general public doesn’t understand, so do not hesitate to ask for further clarification of anything you do not understand. If English is not your primary language, a Certified Medical Interpreter should be present for the informed consent discussion and should translate the informed consent form for you. If the child is being asked to participate in a clinical trial, the research study, procedures, treatments, risks and potential benefits must be explained to the child and their parents. Typically both parents will need to provide consent for a child to participate in a clinical trial. There are exceptions to this rule, including if one parent has sole legal custody, the other parent is deceased or incompetent. The requirement of both parents to give informed consent may also be based on any risks associated with the trial; for example, if the risk of participation is very small, trial participation may be allowed even if only one parent gives informed consent. Read more about clinical trials. Consent of parents or guardians is not required if there is immediate danger to the life, health, and well-being of the child, as assessed by the health care provider.